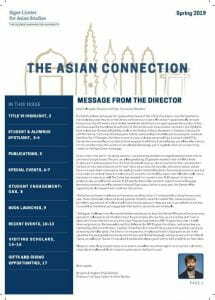 The Sigur Center for Asian Studies publishes a biannual report – called The Asian Connection – highlighting the Center’s activities, affiliated programs, students and alumni, faculty and scholars, and the Center’s robust public outreach initiatives. The latest edition reviews our Fall 2018 events, shares information on our Title IV Grant and New East Asia National Research Center, and much more! 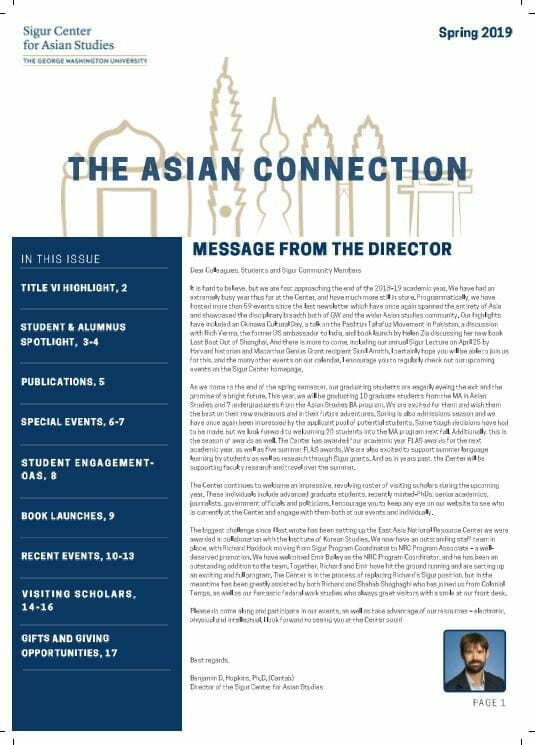 Check out the full publication of The Asian Connection with the button below!